Michael is a former corporate executive turned entrepreneur. After20+ years of Sales, Account Management, Client Services and Leadership experience, Michael has leveraged his unique skill-set to launch BrightStar Care of Bel Air MD. Recognizing the societal demand for high-quality medical care delivered outside of traditional facilities, Michael researched in-home medical care business opportunities. 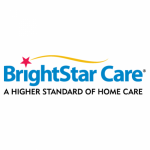 BrightStar Care stood out as profoundly different with its focus on high quality, patient-centered care exemplified by the standard of Joint Commission Accreditation. This is the same accreditation that the very best hospitals achieve.Michael states, “Providing compassionate, professional and high-quality care, focused on improving quality of life, provides our clients and their families the support needed to get the most out of life. By going above and beyond, offering services when you need them 24 hours per day, 7 days per week, with Nurse (RN) oversight for every case and guaranteed Caregiver compatibility, we truly provide a Higher Standard of Care. Our goal is to treat each client and their families as we would expect our own family members to be treated.”Michael’s office services portions of Harford, Cecil and East Baltimore counties including Bel Air, Fallston, Abingdon, Kingsville, Perry Hall, Middle River and the neighboring communities.Some of our specialties include: companion/personal care, skilled nursing and therapy services, night care for Hospice clients, and care for clients with Alzheimer’s and Dementia. We service seniors, the disabled and children. We can assist with bathing, dressing, feeding and ambulation as well as light housekeeping and meal preparation. We can do blood draws and injections, medication set‐ups/reminders, wound care, IV therapy, PT, OT and ST and much more!